This one is definitely a crowd pleaser! Not only is it delicious but it has an impressive presentation. Who doesn’t like bread cheese and Sauce? Then to top it off you add an egg!! 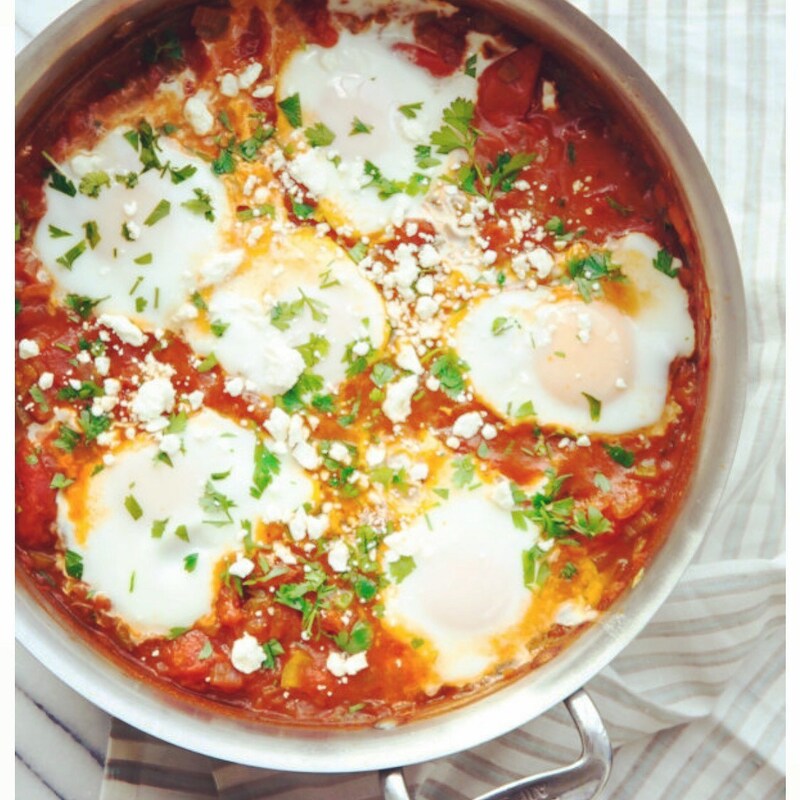 I love to serve this for brunches… Its super easy to make and most of these items you have in your fridge! *I have also omitted the sausage before and it was still super tasty as well.. Crack each egg and place in prepared hole. If you are nervous about the yolk breaking or getting shells, you can always use a small bowl to crack them into individually first and then place them in prepared hole.